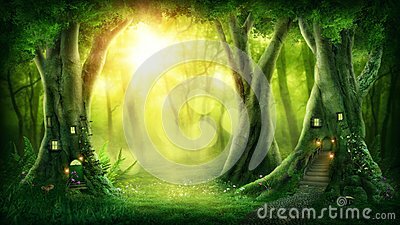 Lovely magic forest Seamless pattern. The frame of the sinister trees is dark red. Halloween. Branches and roots. Watercolor owl and twigs, sticks, leaves, flowers. House with chicken feet icon on isolated green background. Vector element for your design.